Rick Laymen's beautiful hand tooled saddle bags were stocked with stainless steel wine glasses, a wooden cheese board, wine opener and three classic Santa Ynez Valley wines. 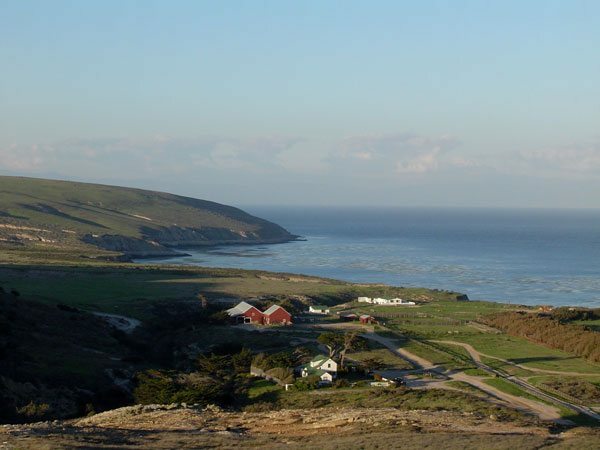 There are reasons why you should care and support the California Rangeland Trust. 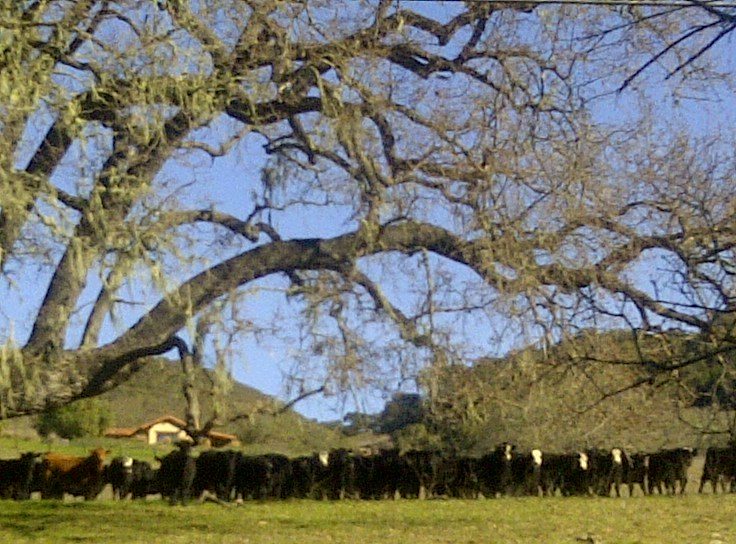 Without conserving and preserving California ranching heritage we will lose the quality of our Golden State's rangeland air, water, wildlife habitat and local food supplies... now and for future generations. I'm proud of my western roots. I was born in Californian and grew up in the city. I always longed to live on a ranch but the closest I ever got to living on one was a two-week stay at Camp Calamigos. In my youth, learning how to saddle and ride a horse was a big thrill. Even bigger was getting to ride across rangeland where I developed a true appreciation for the hard work of cattleman and cattlewomen; providers who nurture not only food and land but maintain great pride in upholding their western heritage. The California Rangeland Trust was founded in 1998 by a group of innovative and dedicated people whose mission is to protect open space and natural habitats. Today, thanks to their dedication and the support of many, they have helped to permanently protect over 275,000 acres of privately-owned rangeland. 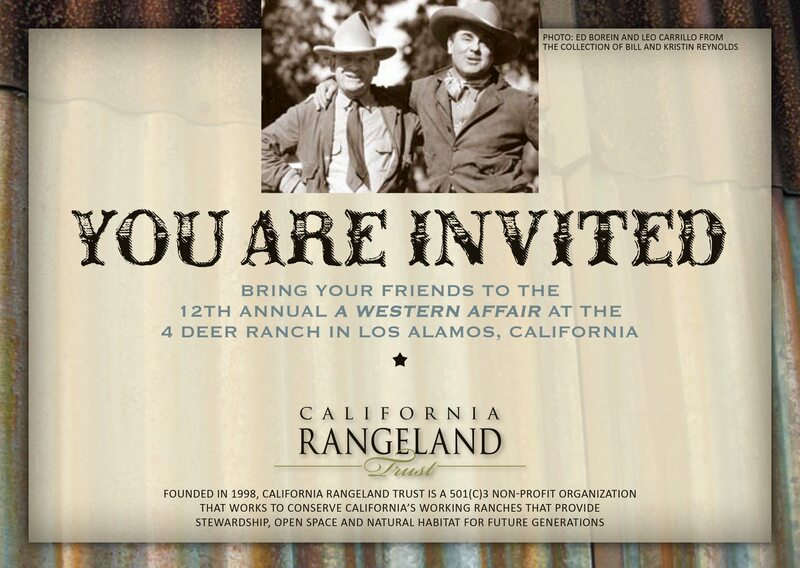 The Rangeland Trust Events are so unique. They are held annually on private ranches. Last year's event was spectacular as well. 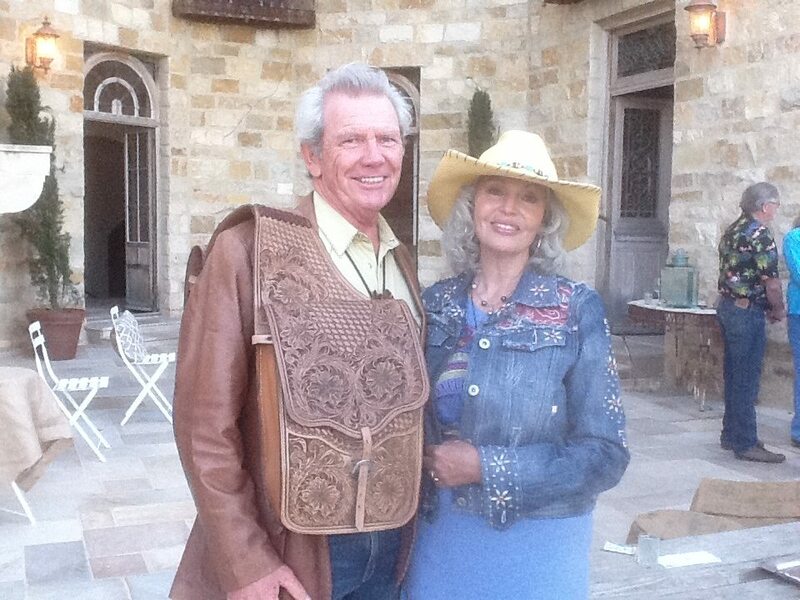 Held at the Hearst Ranch in San Simeon and hosted by Stephen Hearst. 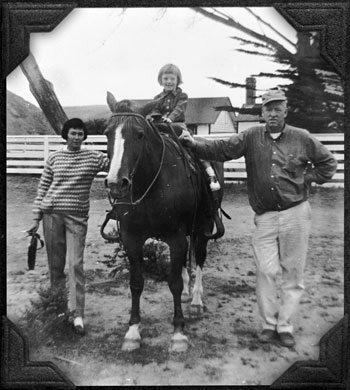 Nita Vail, one of the founders of the Rangeland Trust has helped to inspire hundreds of landowners throughout the years and helped to secure one of the largest parcels of land in California. Her dedication to preservation and conservation of land is deeply rooted in her own families history. 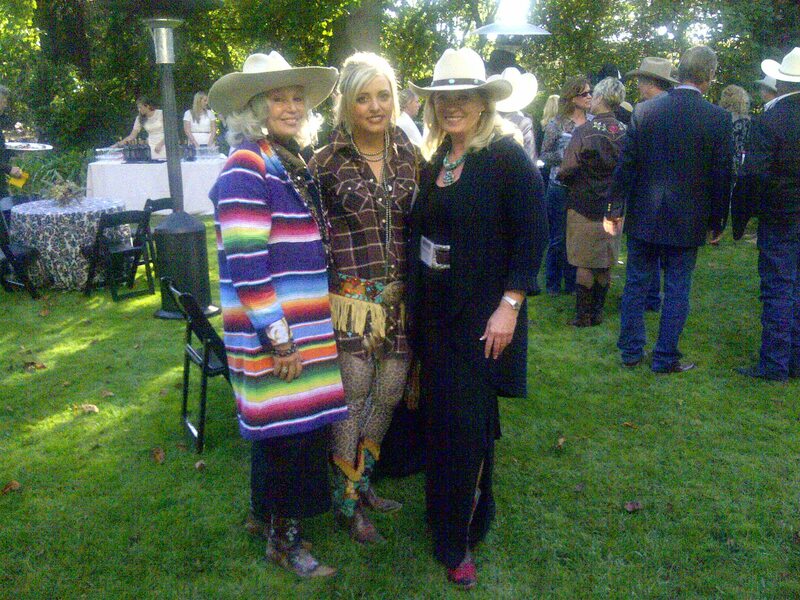 This years event was held in Los Alamos at 4 Deer Ranch. Once we entered the property we felt like time travelers. The event hosted by the board of directors was fantastic. Everything about it was so very special. Jim and I were so impressed with both the silent and live auction items. We even bid on a few and wound up with one of the most beautiful hand tooled leather wine saddle bags painstakingly made by Rick Laymen. And you're not going to find this precious item anywhere else in the world! Rick is a true artisan. The large white tent housed over 250 guests. We dined on organic grass-fed beef, organic mixed vegetables, a beautiful fresh tomato and burata cheese salad and chocolate souffle cup cakes. The dinner included an incredible assortment of California wines with each course. The live auction items were so unique. A private tour of the Reagan Ranch was one of the best! If you ever feel confined living in a big city, hate the traffic and pollution, and long for wide open spaces.... join us next year at The Rangeland Trust Event... don't worry, "Will leave a light on for ya!"